Home > How can you measure the value of a webpage? > How is MozTrust different from Majestic Trust Flow? How is MozTrust different from Majestic Trust Flow? 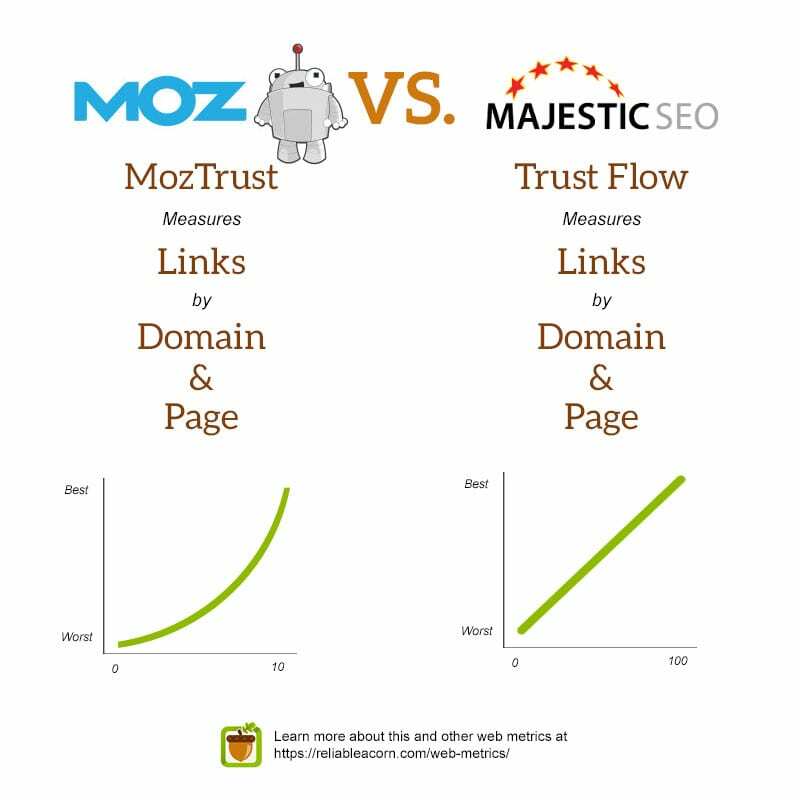 Majestic Trust Flow and MozTrust are very similar to each other. Both measure the distance of a site (or page) from the most trusted websites on the internet. The differences have to do with their scales. MozTrust provides a score between 0 and 10, on an exponential scale. On the other hand, Trust Flow is a score between 0 and 100 on a linear scale.